Hello lovelies! 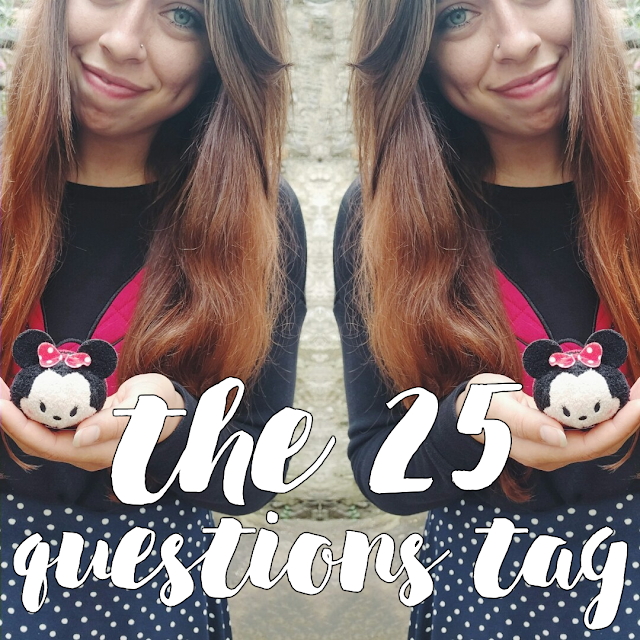 Today I'm finally getting round to doing the 25 questions tag that the lovely Kat from Kat Last tagged me to do. You can read her post on the tag here. Very Nice by Seventeen. I've been obsessively watching all of the live performances I can find of this song recently! It's got to be chocolate, I eat loads of the stuff haha! Apart from food it was probably a paperback of Inferno by Catherine Doyle. 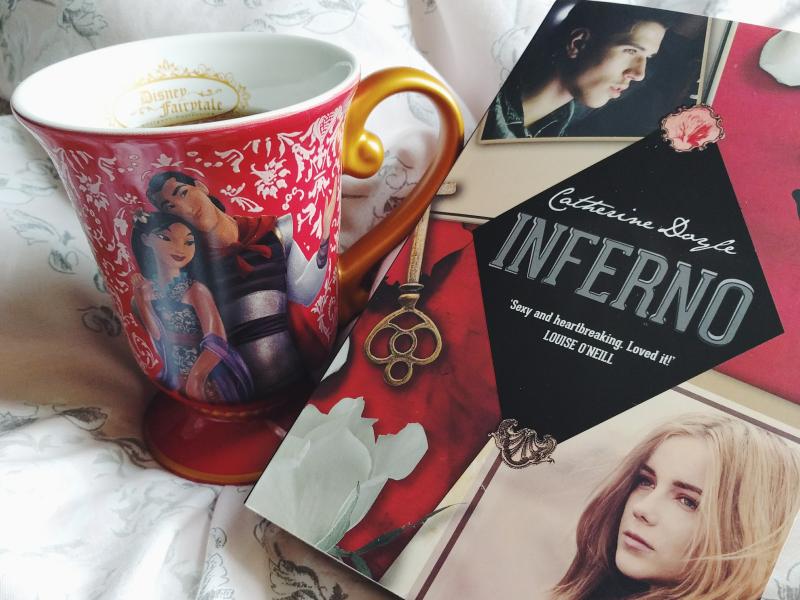 It's the second book in the Blood for Blood saga and I'm obsessed! I ordered it before I'd even finished the first book! Aaaargh don't do this to me! I'd probably have to say the Harry Potter books though. Nothing can beat that HP magic! For everyday I love Hollister's Crescent Bay body mist and then for special occasions Miss Dior. Paris! I've been three times now and I still want to go back. It definitely lives up to it's reputation as one of the most beautiful cities in the world. No but I've been in a relationship with my boyfriend, Ollie, for about 4 and a half years now! Yes! Currently I've been to France, Wales, Northern Ireland, Malta and China, with a trip to Hong Kong coming up this September. Unfortunately not - I'm currently teaching myself Korean but it's a very slow process! One sister, Emma, who is younger by two years but if you met us both you'd definitely think Emma was the older sister! 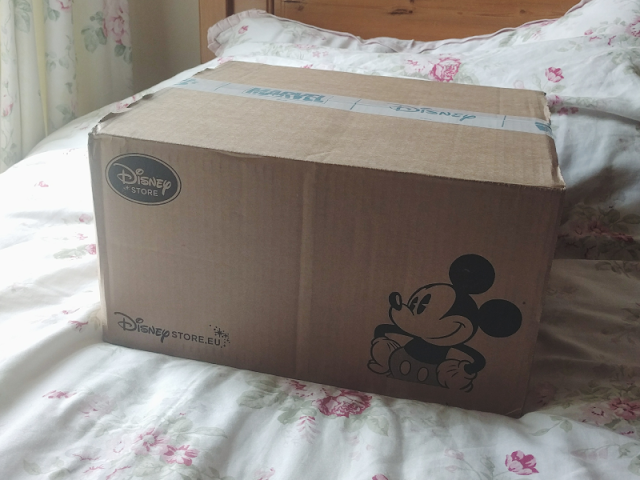 The Disney Store as I buy from there at least once a month...! I don't think I really have a favourite restaurant but my favourite cafe is definitely Patisserie Valerie. One of my life goals is to try every cake there, haha! Probably Frassy. I've been following Audrey's blog on-and-off for a few years and her blog/life are absolute goals! 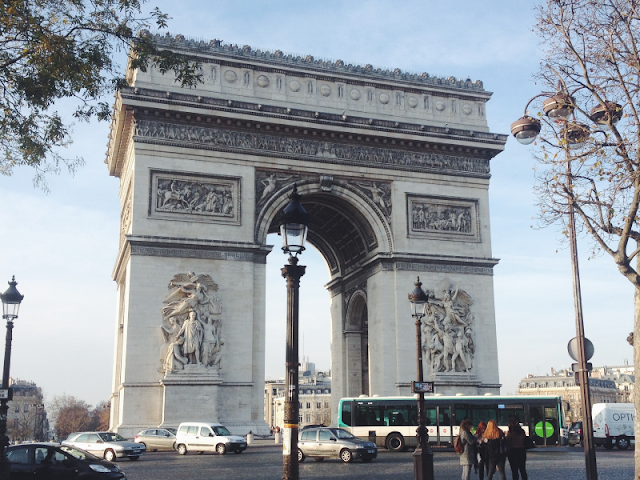 Shooting outfits in beautiful Barcelona or in front of the Eiffel Tower? Yes please! 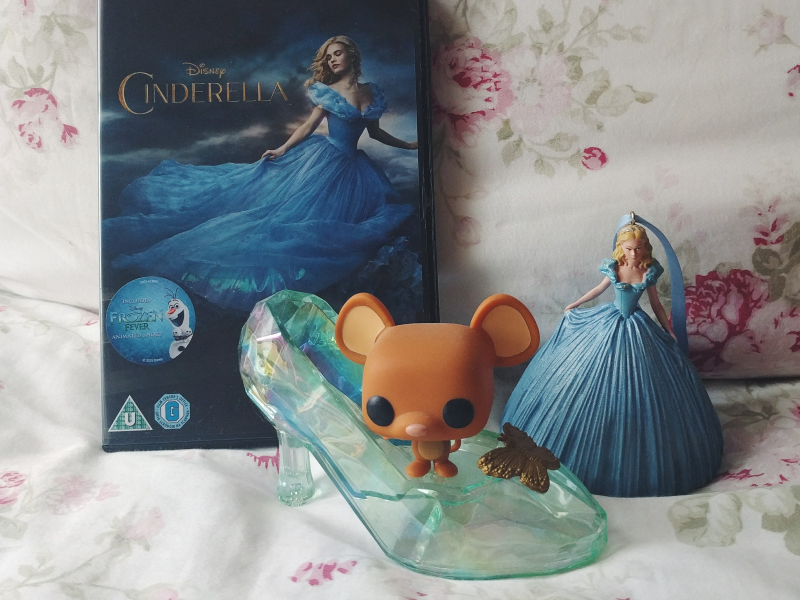 I don't think I could pick just one favourite but one of the main ones is definitely Disney's live action Cinderella! PC. My boyfriend's parents have a Mac and I really struggle using it! Yes... ish! Although if asked this question in front of my boyfriend he'll always remind me of the time I promised I'd cook him a meal from scratch but I actually ended up ordering us Dominos... DUDE you got free pizza, stop complaining! Thanks again for tagging me Kat! I'll have to get working on my post over the next few days... Just need to find someone to tag! It was great to learn more about you :) your trip to Hong Kong sounds exciting! It was great to learn more about you. I'm in love with your blog! What made you decide to learn Korean? That's so cool!